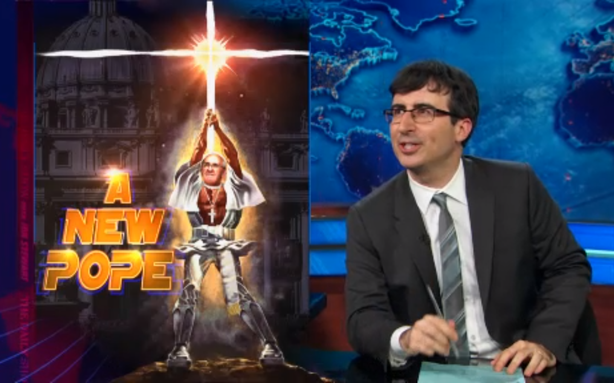 What in heaven’s name is going on with the Catholic Church and that new pope? It’s a new week, so that means there is a fresh set of topics surrounding Pope Francis. This week many major news sites quoted him saying that the Church needs to stop being “obsessed” over issues of abortion, gay marriage, and contraceptives. The Church is often portrayed in the media as being focused on these issues and, as a result of this the Church cannot separate them from its identity. The Pope wants to shed that facade and redirect the Church’s image to what he feels is its actual identity. According to Pope Francis, the fact of the matter is that despite the overwhelming amounts of media coverage directed at those issues, they are not what are most important to the Catholic faith, and, thus should not define the faith. So, instead, the question should be how has the Church become synonymous with these issues. The Pope realizes that the Church needs to focus on “God’s love,” which is a more flexible, less tangible notion. This, I think, is an attempt to appeal to the larger audience that no longer identifies itself as religious, but instead as spiritual. He’s a pragmatist who has come to know and understand effective communication strategies. He knows the doctrines of the Church no longer affect people’s behavior. His objective is to cross the Church’s culture with the culture of the general audience, while maintaining the identity of the Roman Catholic Church. The Pope offers care, something that everybody needs. I think it’s apparent that the Pope has the media in mind, especially the mainstream news media, when he makes these types of comments. He understands how the media coverage of his church works. It seems apparent these days that the news media handle certain big-news events such as tragedies in the same step-by-step process. Such a process is true for news from the Church, which is usually quickly turned into an “old tradition versus new culture” binary battle. Pope Francis seems to understand how cultural authority works and it’s formation around the media. He wants to avoid being ostracized by the dominant culture, which has taken a more progressive turn. His religious authority cannot exist outside of the religion’s mediated existence. Thus, his actual authority is only relevant in the context of his operating culture. Because of this, Pope Francis has chosen to operate within the boundaries of that dominant culture and expanding the Church’s culture as a result. This consists of a different approach than the one taken by John Paul II and Pope Benedict XVI, who attempted to strengthen the boundaries of the Church in an effort to purify it. Why the Pope is doing this is simple. As he put it, he does not want the Church to, “fall like a house of cards.” This is a powerful example of how the Catholic Church exists only through mediation. Pope Francis has illustrated his understanding of the media’s role in religion and culture. This deep understanding of the relationship between religion and the media is also exemplified in Pope Francis’s deliberate choices to not use hot-button words, like “abortion,” and “gay rights.” The role of language in people’s relationship to knowledge consists of the same role the media have to the creation and the sustainability of religion. So, the meaning of a certain word, like “abortion” to a person, is contingent upon that person’s cultural location. This point applies, more-or-less, to entire cultures, especially to those that consume mainstream media. The Vatican, just like all institutions, is in conversation with the world through the media. The media have set the rules, and the rules say that words like, “abortion” should be avoided. The Pope realizes that he no longer possesses the power or authority to define the meaning of the word “abortion”. He realizes this, and in doing so, he has succumbed to the power of the media. Pope Francis has already resigned authority a few weeks ago when he removed himself from a position of criticism in the gay rights debate. Despite being the head of the Church, he symbolically refuses to place himself above others, which is in response to his understanding of cultural authority. He has a vision to form a community around the broad strokes of the faith’s teachings about love. The Pope’s message to the Church to stop “obsessing” over the issues of abortions and gays is a plea for the Church to stop allowing the news media to define the terms. The Pope’s call for a focus on “God’s love” exemplifies his understanding of the mediation of religion. The Church is in constant mediation, and especially since the molestation scandals broke, coverage has cast a dark light on the Vatican. The dominant culture’s interpretation of the ideas or policies that the church might want to promote, including gay rights or abortion, are not the Church’s to dictate. That is why the Pope wants the Roman Catholic Church to get over this obsession of preaching about abortion, gay marriage and contraception, to change the image and, in essence, the culture of the Church.